From year-round after-school programs to action-packed summer camps, our junior golf development programs are designed to help young people ages 7–17 learn and play the great game of golf in a fun, engaging environment. In addition to teaching golf fundamentals and strategy, junior golf lessons and camps help students understand golf rules and etiquette, build character, learn good sportsmanship, and benefit from the many positive life skills the game teaches. Our comprehensive junior golf lesson series offers nine “levels of success,” with a color coded system used to place participants in the appropriate group based on their skills and understanding of the game. In order to advance to the next color level, juniors must pass a written and physical skills evaluation. The program is offered on a month-to-month basis, with on-course play time and instruction offered for more advanced students. 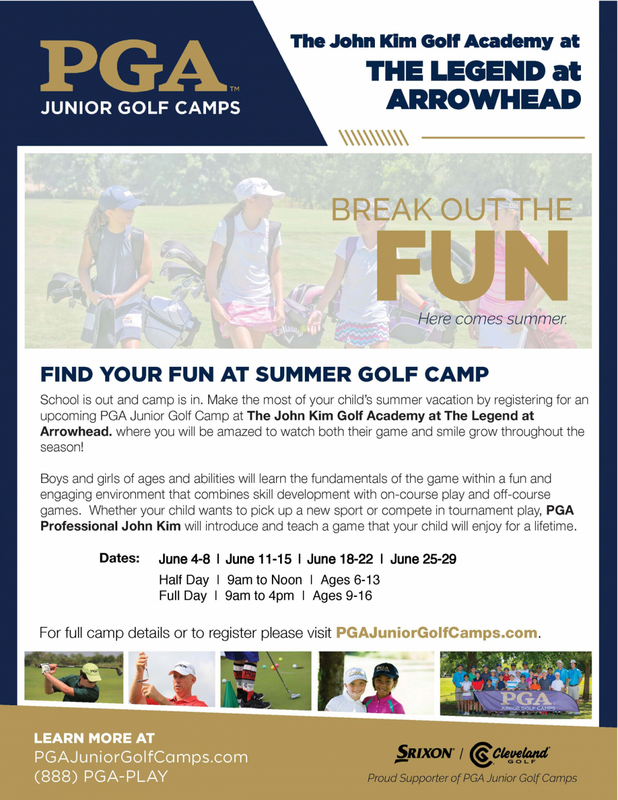 Junior golfers may also book a private lesson, participate in our year-round series of junior golf clinics, or participate in our popular junior golf summer camp. For more information, please contact the club at (623) 561-1902.